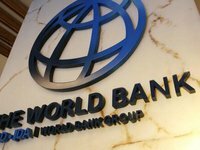 The World Bank has included the issue of providing Ukraine with financial guarantees in the amount of $750 million on the agenda of a meeting of the Board of Directors scheduled for December 18, the Ministry of Finance has reported. "The final parameters of the agreement will be determined by the Board of Directors of the World Bank," the ministry said on Facebook. The ministry noted that the Policy-Based Guarantee (PBG) is a financial instrument of the World Bank, which can be used by the government of the country only to receive budget support as a result of implementing strategic and institutional reform programs.